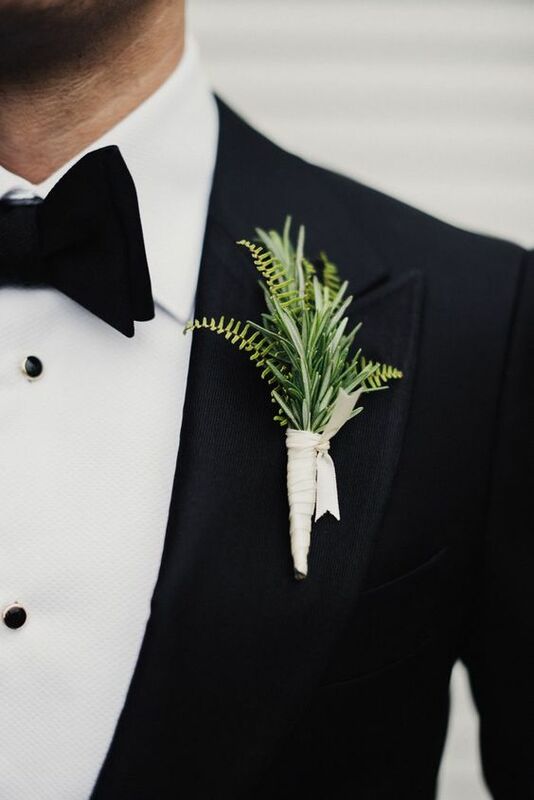 If you opt for a non-floral wedding, avoiding blooms is what you should do in every part of your wedding, or at least stick to minimum of blooms. 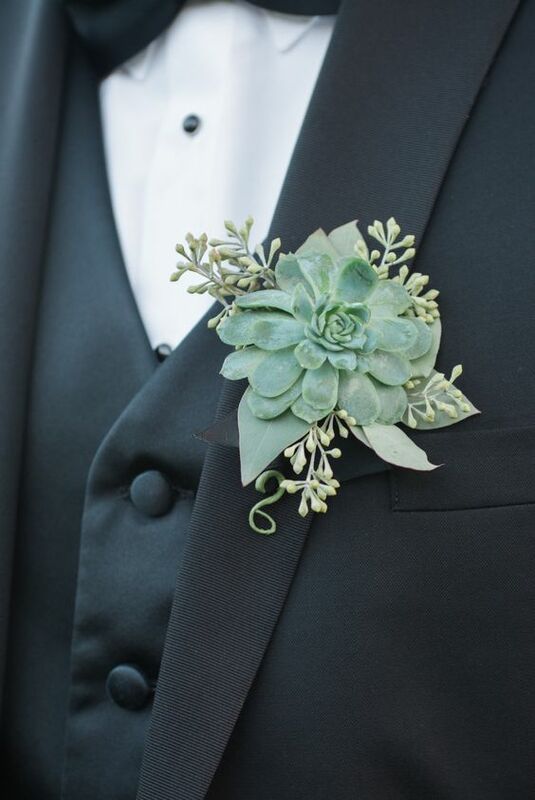 Arch decor, centerpieces, bouquets and even boutonnieres should be non-floral or close to that, and if you are hesitating about what to do with the latter ones, I’ve prepared some trendy ideas for you. 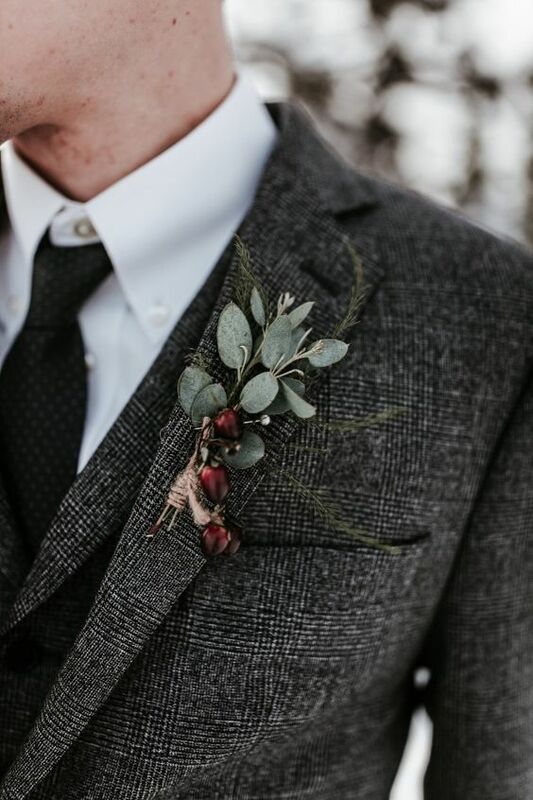 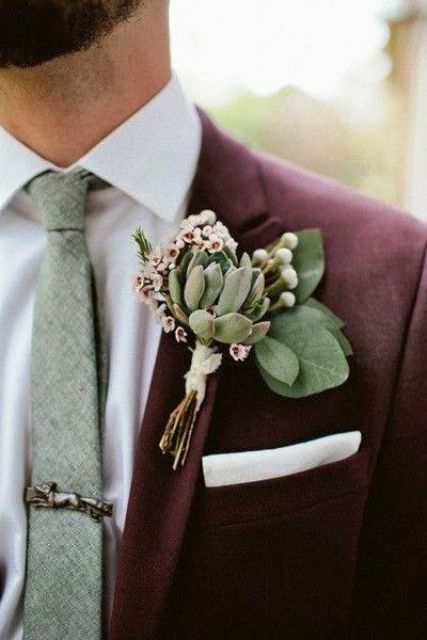 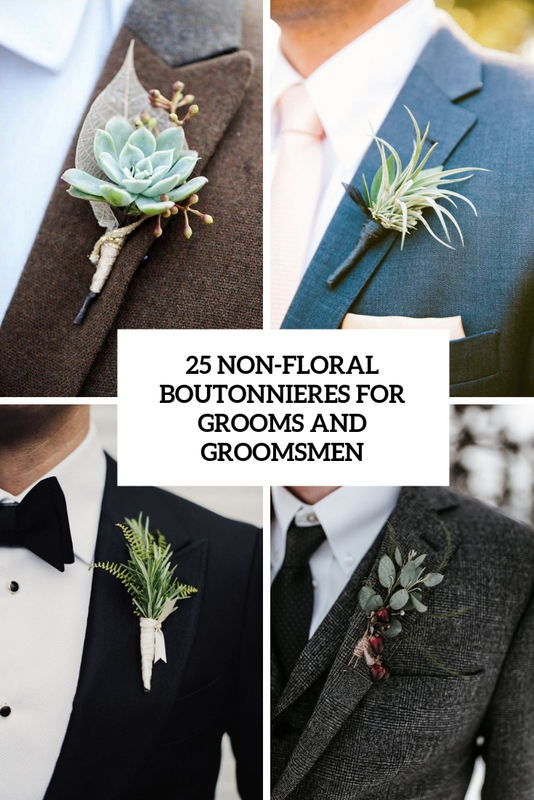 There are several types of boutonnieres you may try avoiding flowers, of course, you can make one of something unusual but if you wanna stick to natural looks, you may try succulents, air plants and greenery. 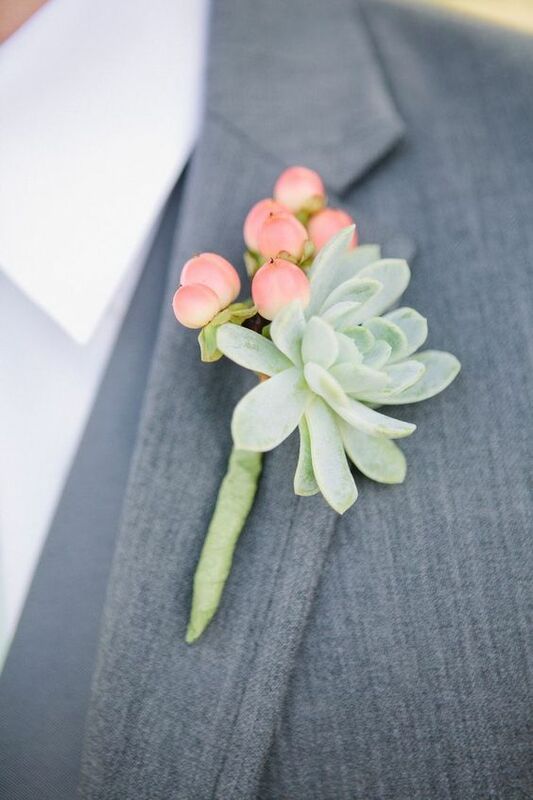 Succulents are extremely trendy for wedding decor now, and of course you may rock them for making boutonnieres, especially if it’s a boho, modern or desert wedding. 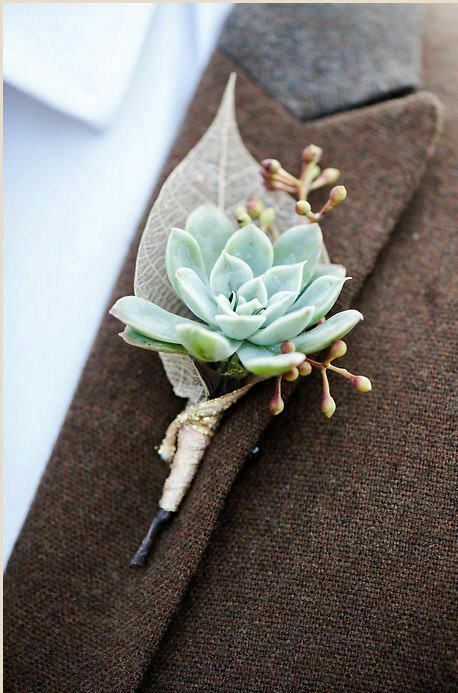 Use a single succulent that is large enough for a boutonniere or try two or three smaller ones, add a wrap and voila! 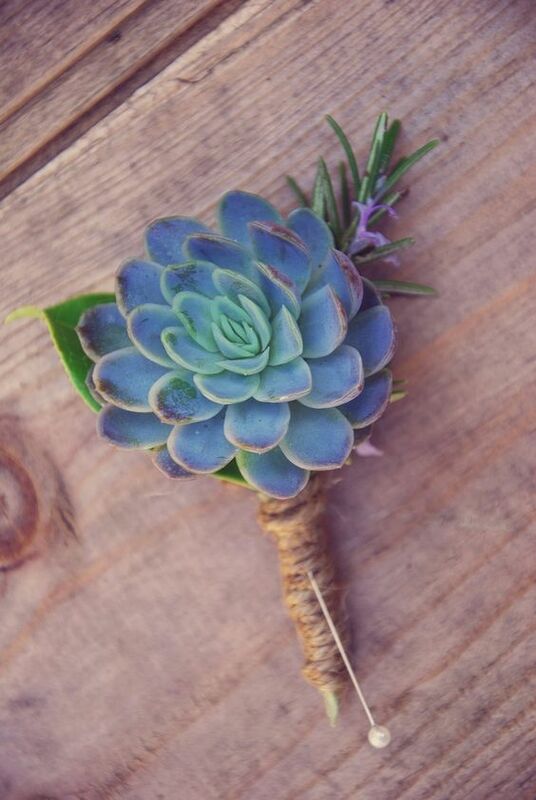 Succulents are so cute that they won’t require any additional decor but if you still want some, go for foliage, herbs and berries and try some bold wrap. 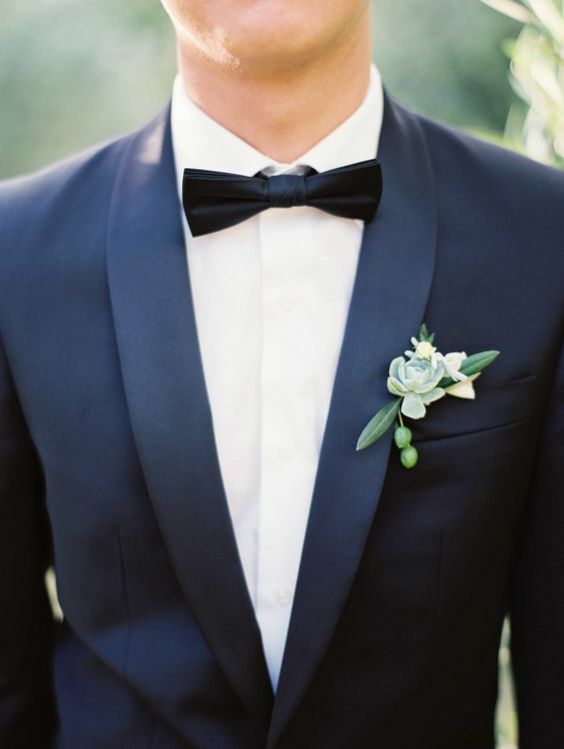 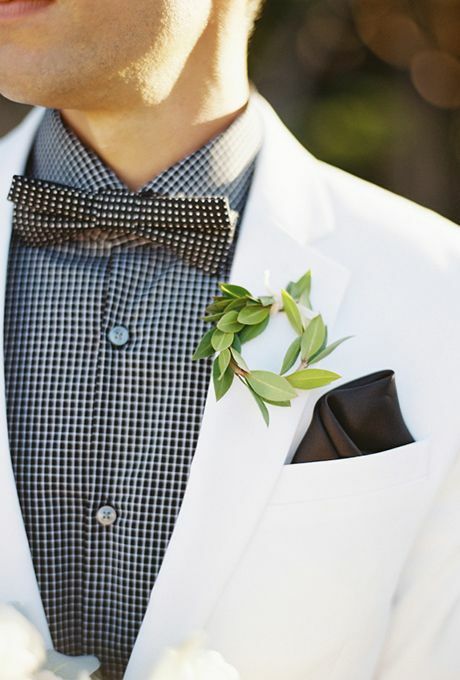 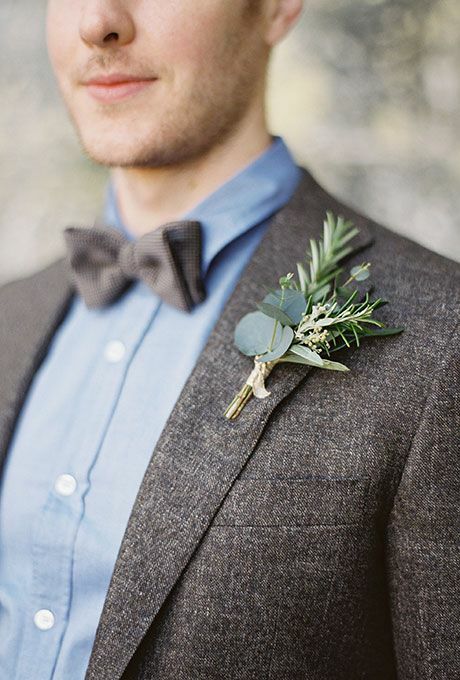 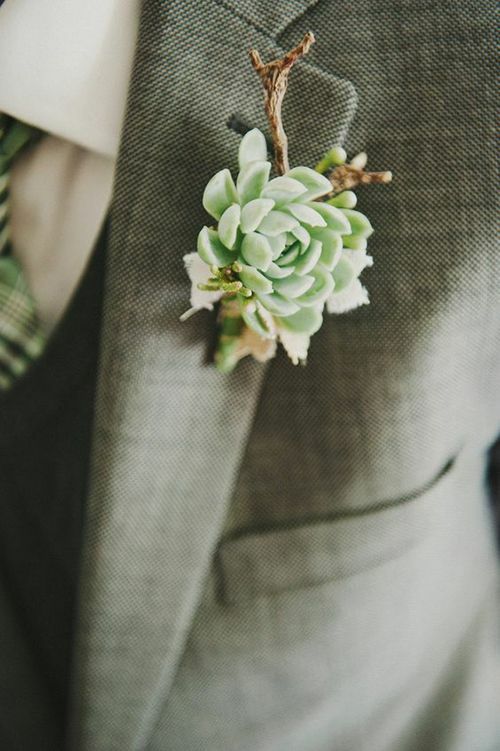 A greenery boutonniere is a timeless solution and it’s nowhere but banal unlike a floral one. 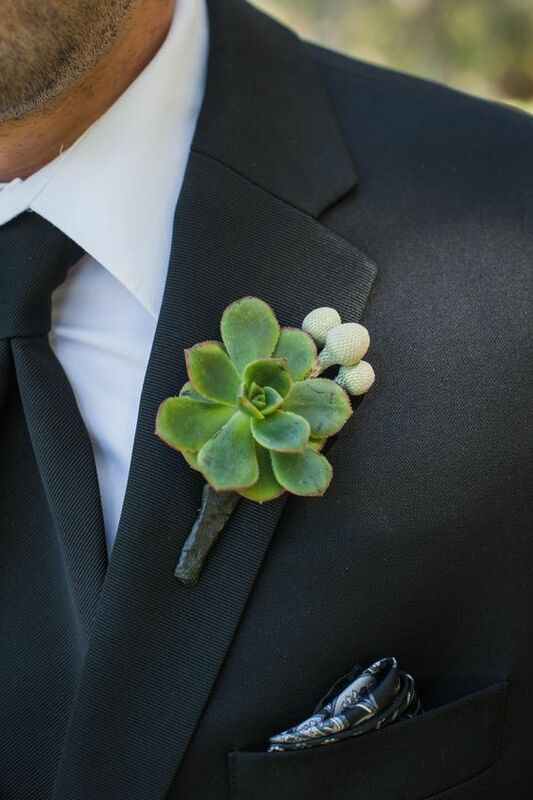 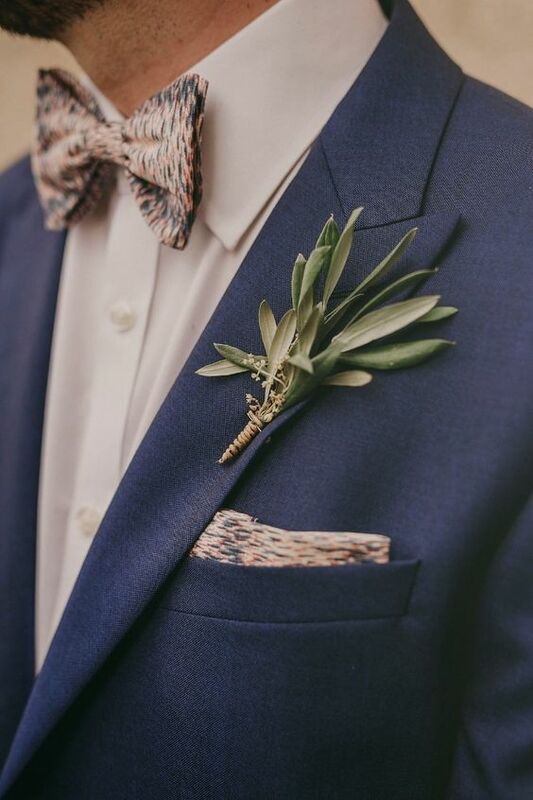 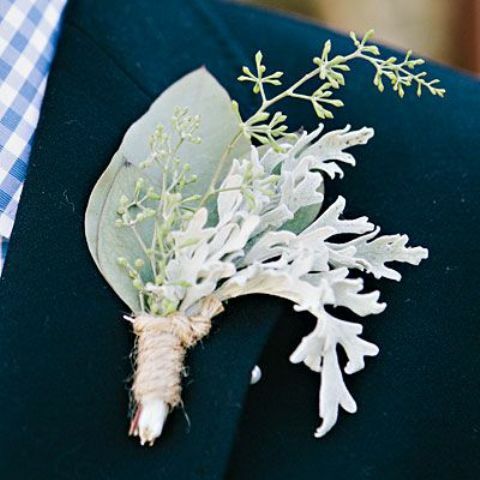 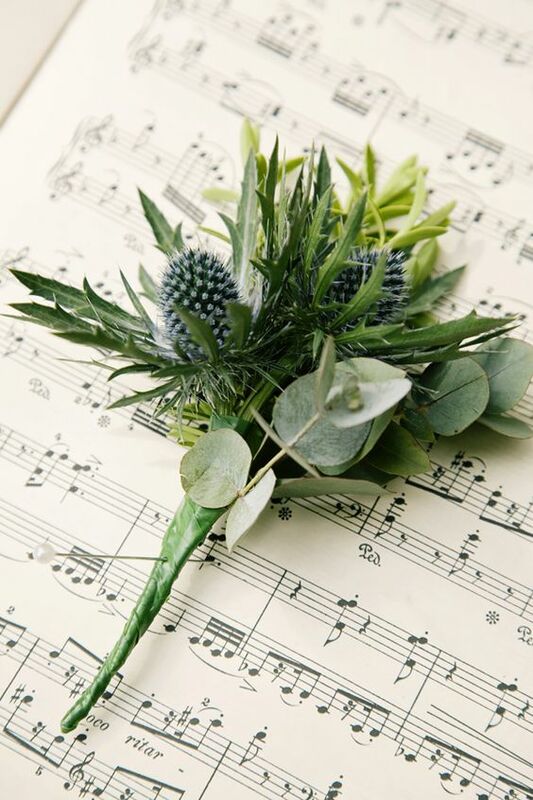 A greenery boutonniere will easily fit any wedding style and any groom’s outfit and it can be made of various types of greenery and herbs including all types of eucalyptus, rosemary, various berries and other stuff. 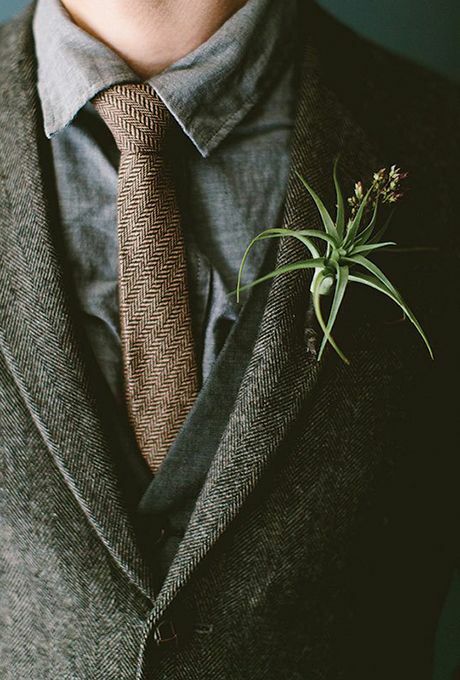 It will be not only a fresh touch to your look but may also bring a cool natural smell of herbs. 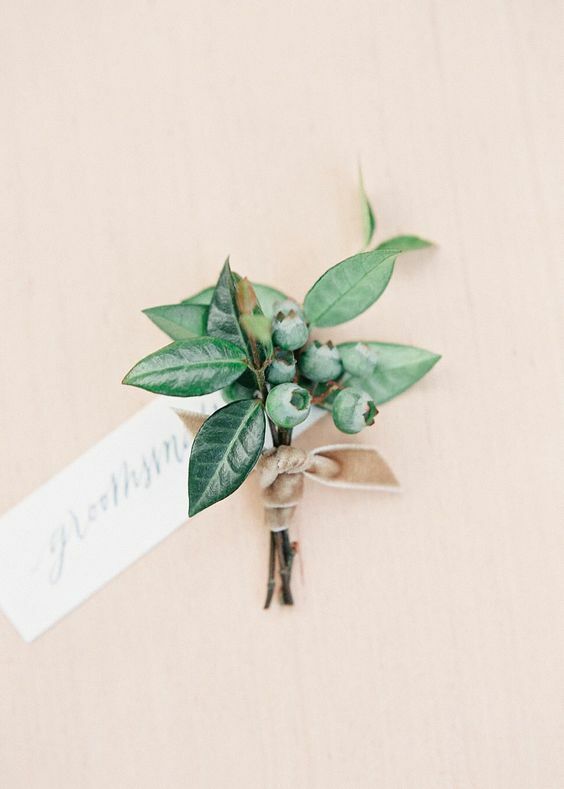 If you want a more original option, think of making a wreath of greenery. 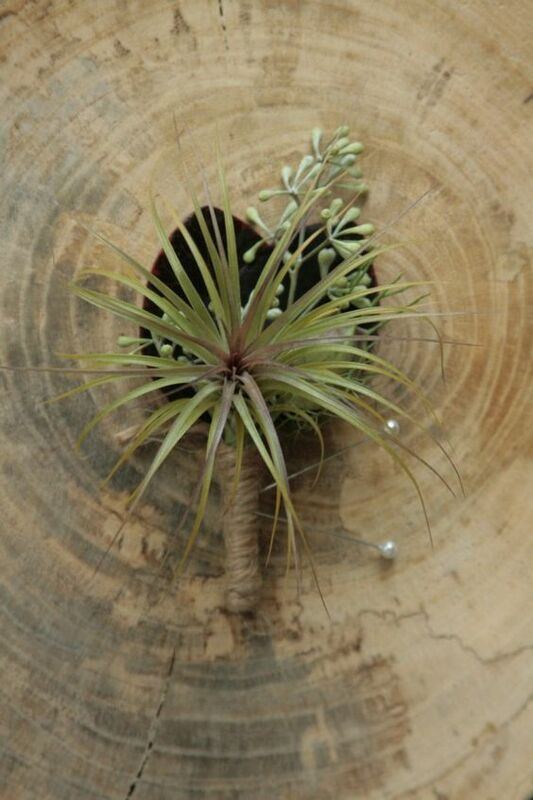 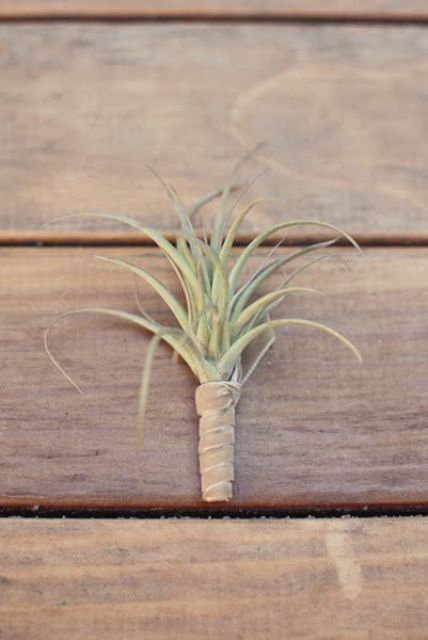 Air plants are as trendy as succulents and they have a great advantage: they are durable. 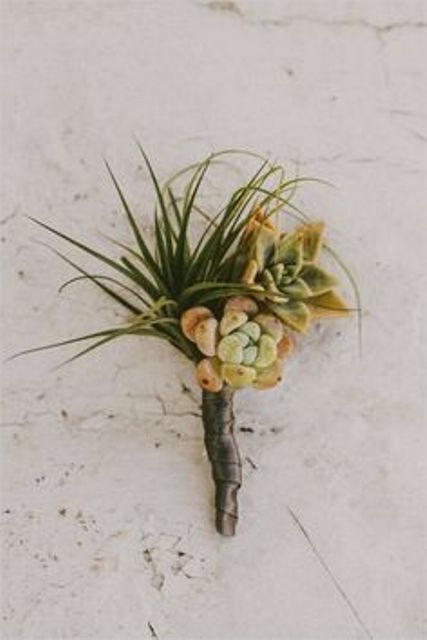 Air plants are amazing for rustic, coastal and beach weddings. 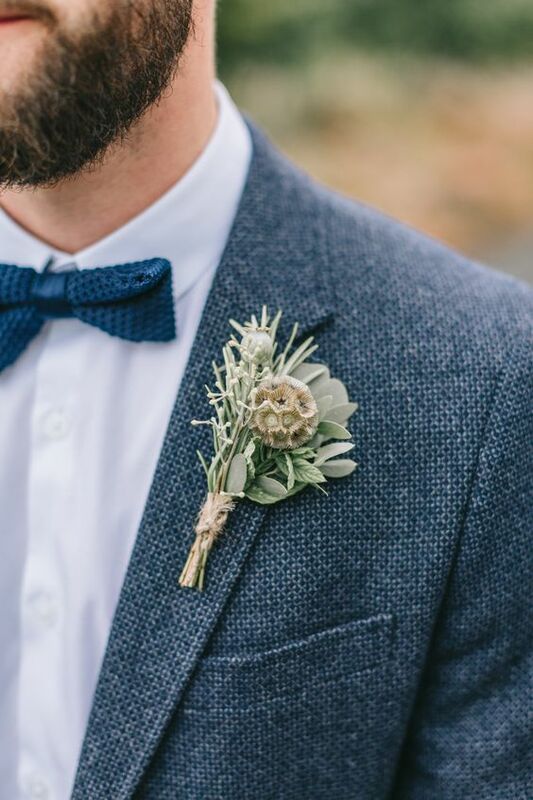 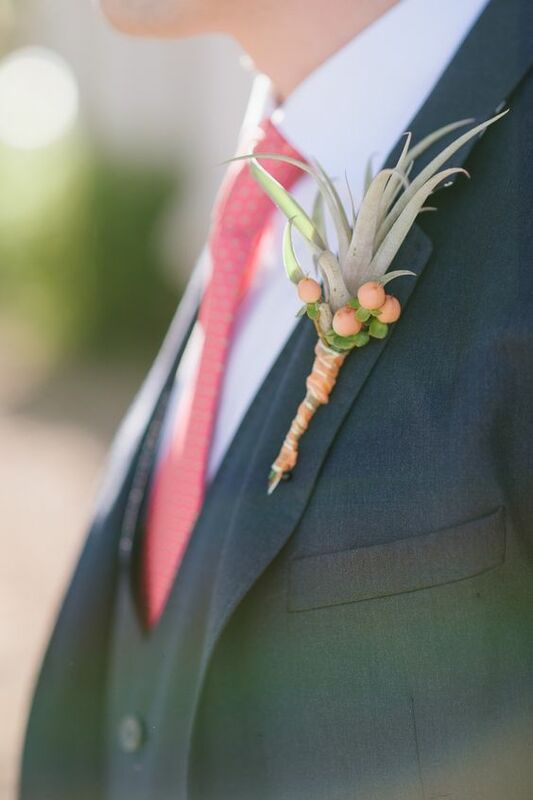 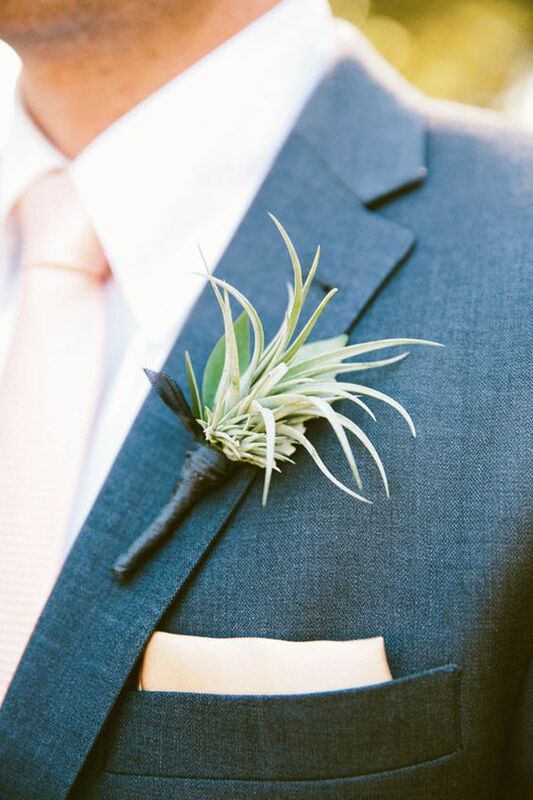 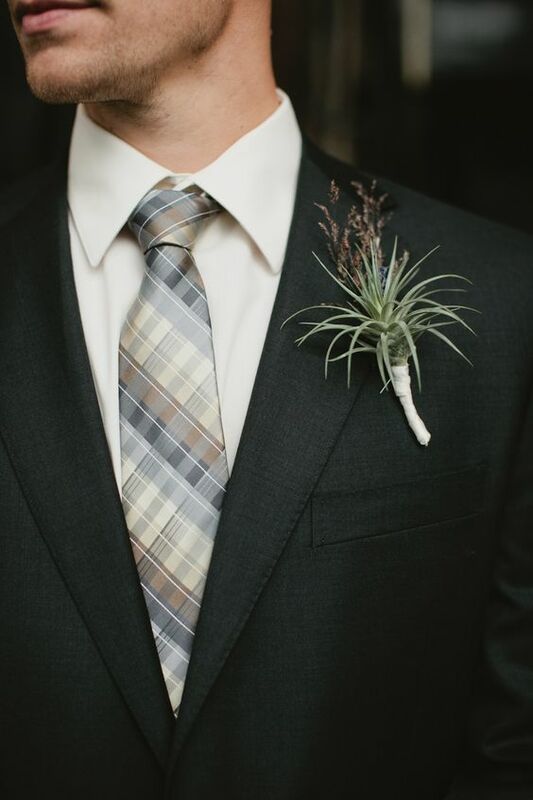 You may rock a tillandsia boutonniere easily – it doesn’t require any decor except for a proper wrap. 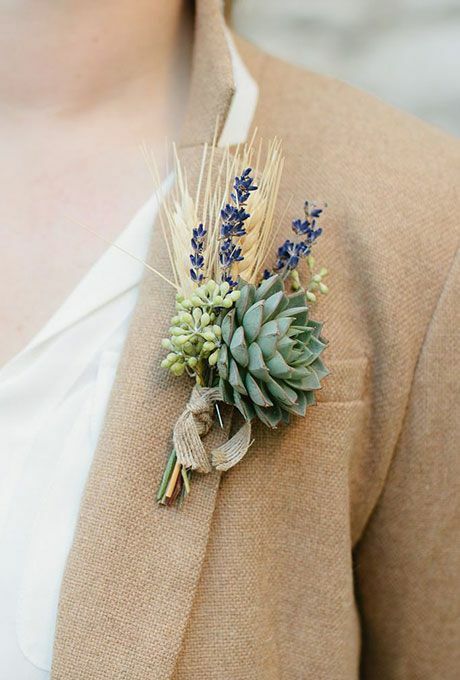 But of course if you feel like it, you may pair it with succulents and berries and even small blooms and herbs.